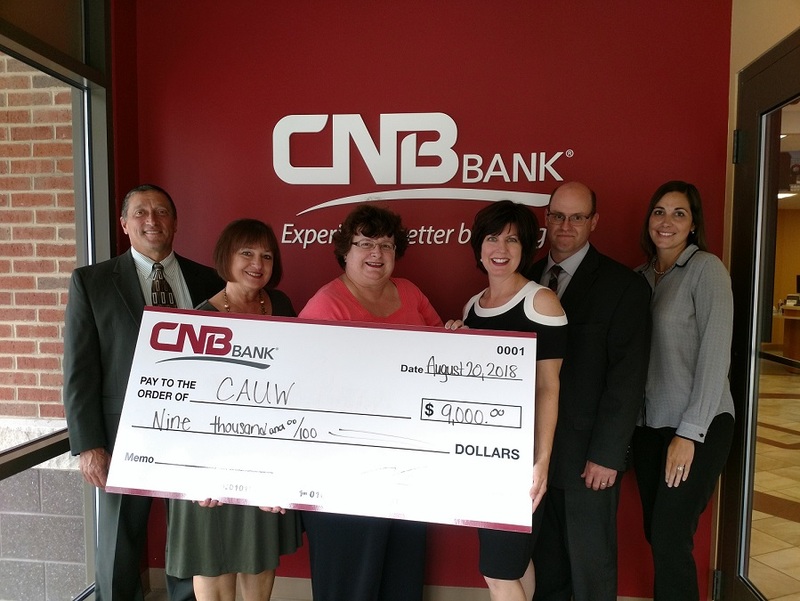 CLEARFIELD – On June 28, CNB Bank hosted its seventh annual charity golf tournament and successfully raised $30,000 to benefit both the American Cancer Society (ACS), local chapter, and the Clearfield Area United Way. Not alone in this endeavor, customers and vendors of CNB reached out with generous donations. Gifts for participants and prize donations, sponsorships, cash donations and team sponsors allowed CNB the ability to raise the funds. 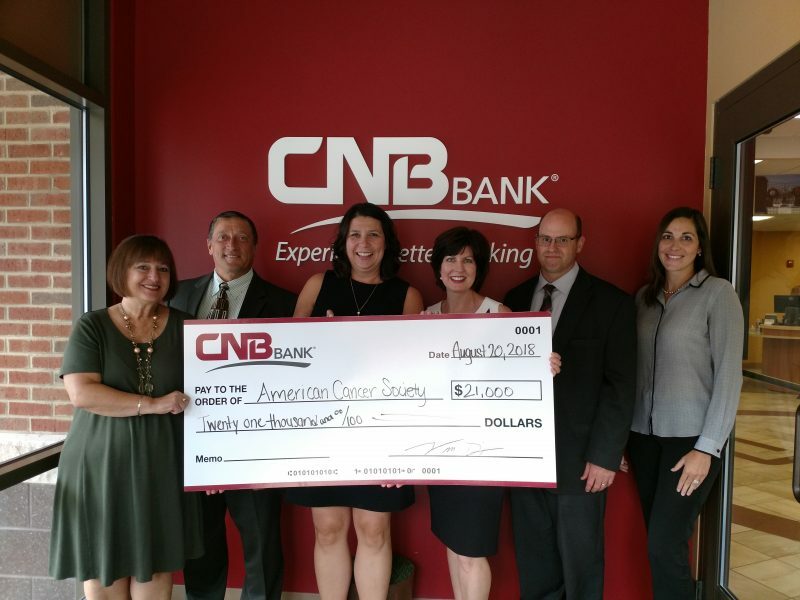 “Together, over the past seven years, we have raised over $150,000 for the ACS, which was used to support programs such as the Wig Program, Hope Lodge and Road to Recovery,” commented Joe Bower, president and chief executive officer of CNB Bank.